Being named the John Palmer Art Charity of the Year 2013 has been a wonderful experience for Writers in the Schools (WITS). 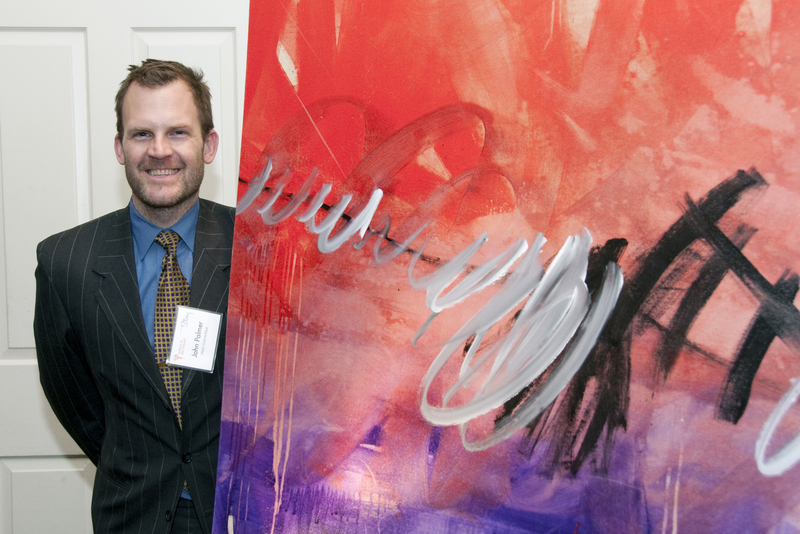 The culmination of the year was the auction of John’s painting “Purple Escapism” at the Celebration of Story event for $5,000. Being John’s Charity of the Year is much more than donations (totaling nearly $10,000) however. It has been a year of partnership, innovation, cross-marketing, and lasting friendship. Thanks, John Palmer and Ryan Lindsay, for an awesome collaboration!